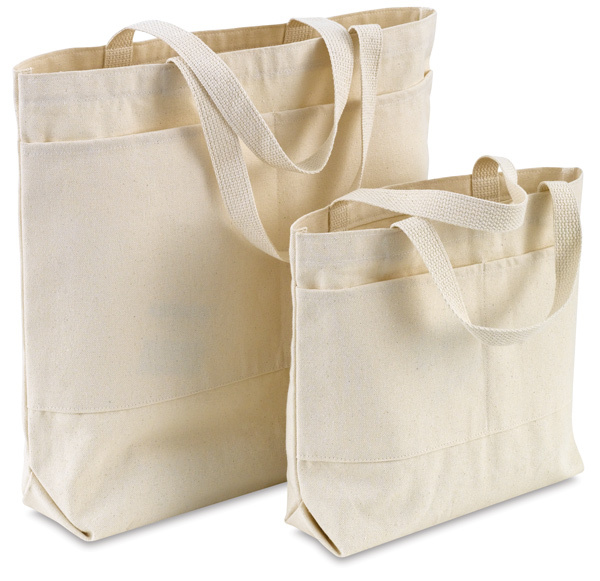 These sturdy tote bags are made of 100% natural cotton canvas, ideal for toting art supplies, drawing and sketch pads, books, and more. An eco-friendly alternative to plastic or paper bags, they're also great for shopping or transporting items from place to place. Available with or without exterior pockets, these tote bags are designed to stand upright and have two webbed handles. For additional product measurements, please see the "item specs" tab. 10¾" × 9" × 2"
16" × 14" × 3"